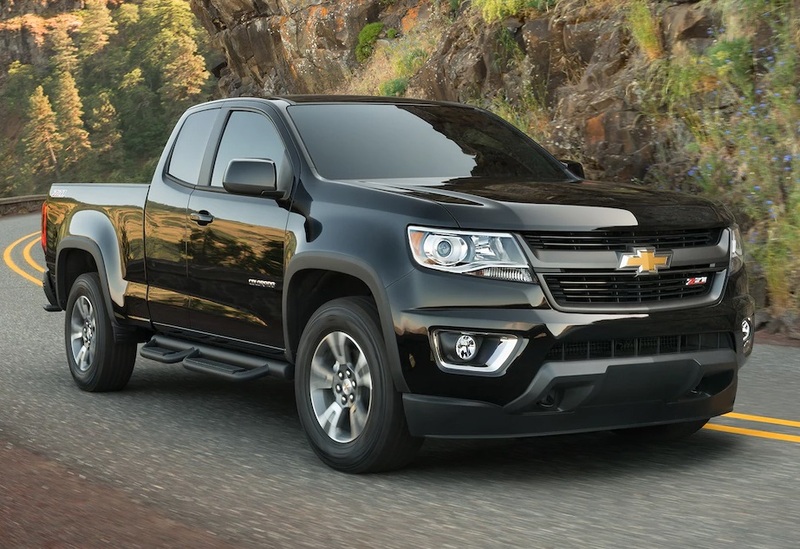 The 2018 Chevrolet Colorado is a versatile mid-size truck that was built to outperform other vehicles in its class. With its tough exterior design and intuitive safety features, this truck provides every amenity that you will ever need. 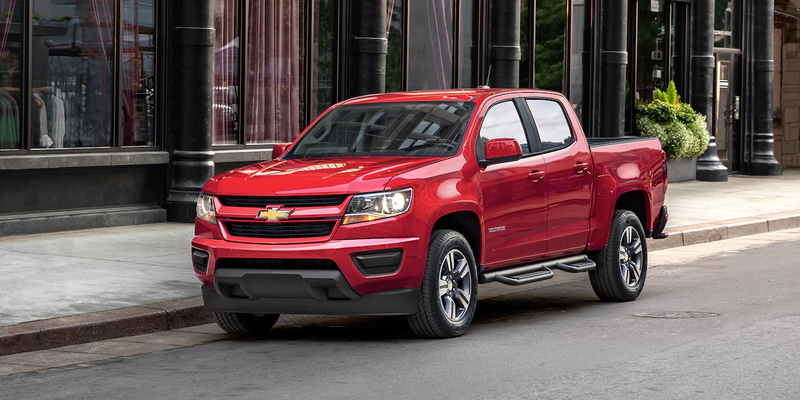 Chevy’s award-winning pickup truck is the recipient of several honors including Best-In-Class Maximum 308 Horsepower and America’s Most Fuel Efficient Pickup. Whether you need to transport equipment to your worksite or use it for recreational purposes, you will be pleased with this truck’s performance. This attractive pickup is available in 9 colors – Cajun Red TintCoat, Graphite Metallic, Deepwood Green Metallic, Black, Summit White, Silver Ice Metallic, Black, Summit White, Silver Ice Metallic, Satin Steel Metallic, Red hot, and Kinetic Blue Metallic. When you visit our local dealership in Libertyville IL, you can test drive any of the models to find the one that’s fits your lifestyle. The trim levels for this pickup truck are the base model, WT (Work Truck), LT, Z71, and ZR2. To speak with a sales professional about this pickup truck in person, visit our local Chevrolet dealer in Libertyville IL. 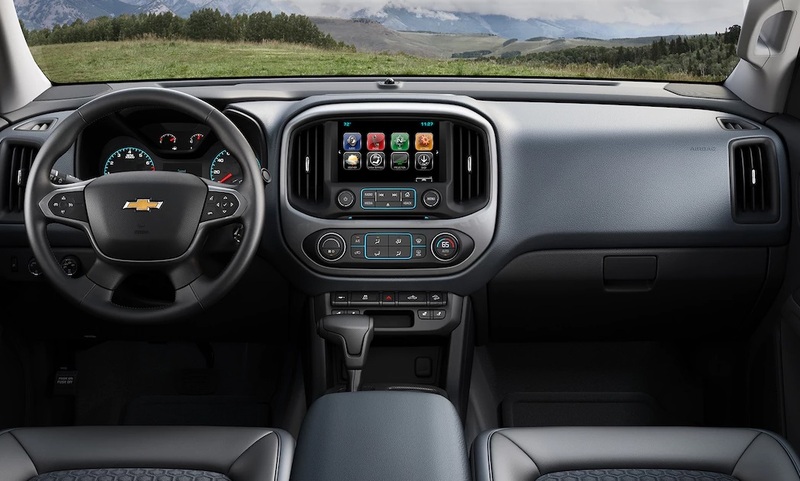 The interior of this Chevy mid-size truck has everything you would expect from this trusted brand. 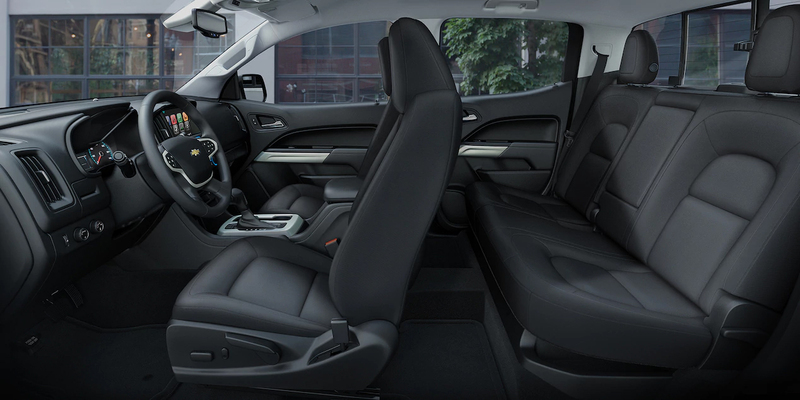 The only way to experience this vehicle’s interior space is to come to our dealership. During your visit, a sales professional will give you a guided tour of our dealership and a vehicle demonstration. 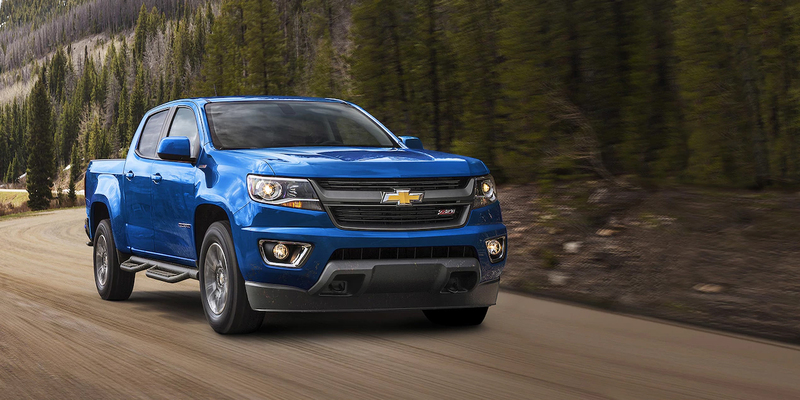 This exciting new 2018 Chevy Colorado has several standard mechanical features including a powerful v6 engine and an 8-speed automatic transmission. If you require additional mechanical features, you can have them installed on your vehicle. Optional mechanical features include power windows and mirrors, traction control, cruise control, a tire pressure monitoring system, intermittent windshield wipers, power steering, variable speed intermittent windshield wipers, and a trip computer. Although this Chevrolet truck is mid-sized, its engine packs a great deal of power. It comes available in three engines. Here are the specifications of each one. Each of these powerful engines makes this Chevy truck ideal for towing. Test drive this Chevy truck to experience its power. Whether you are traveling on snow or dry pavement, you can expect to arrive at your destination safely. Chevrolet designers constructed this vehicle with passenger safety as a top priority. 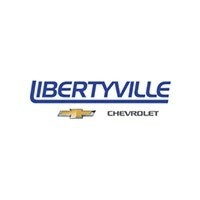 Our dealership in Libertyville IL has provided exemplary customer service to thousands of customers throughout the years. We take pride in providing our customers with a hassle-free sales process. Visit our showroom to test drive the 2018 Chevrolet Colorado. We guarantee that we will provide you with a memorable experience.